– Peter Kropotkin, ‘The Conquest of Bread’. To be able to come back every day and continue working, we also need to do various other tasks, such as travelling to work, cleaning, feeding and clothing ourselves, taking some time to relax, and of course to sleep. Capitalism also benefits from the tasks associated with raising a new generation of workers. The combined tasks that are needed to ensure we are fresh for the next shift and that there are new people coming into the workforce are called reproductive labour, as in the tasks required for the reproduction of our labour power, and are generally takes place outside of our scheduled (and paid) hours of employment. Traditionally much of this reproductive work has been done by women, in their roles as wives and mothers. When a boss employed a man they also benefited from the wife providing cooking, cleaning and childcare. The oppression of women helps to squeeze as much labour out of men as possible. While as a family unit husbands and wives traditionally undertake everything needed to survive between them, women’s work is not valued or paid, and they depend on their husbands for survival, making men the boss of women in the home. Gendered oppression is supported by the need for free reproductive labour. 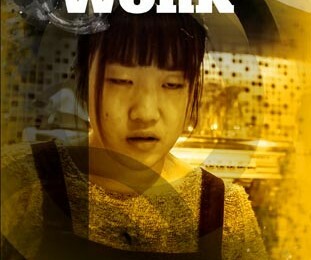 Even with women having entered the workforce this gender-based oppression is maintained by these past, but still currently accepted, ideas limiting access to certain (often higher paid) jobs, social pressure to prioritise home labour over waged work, and with lower wages being offered to women for the same tasks. Because of this, even working women in family relationships often end up doing most of the reproductive labour, referred to as the second shift. Not only do we have to pay for everything from shelter to entertainment to help us relax, there is an ever increasing push for our downtime activities to be turned into products and sold by others. This is most visible with social media, as our interactions can be considered a kind of unwaged work, where we are given a platform to produce content that generates advertising revenues for the parent company.